Millions of coffee filter bags are produced daily in our factory and marketed all over the world, mostly, under our clients private label but also under our own FILTROPA brand. Continuous follow up during the production process ensure that our coffee filter bags not only meets the quality demands of the market, but also maintain this high quality consistently. 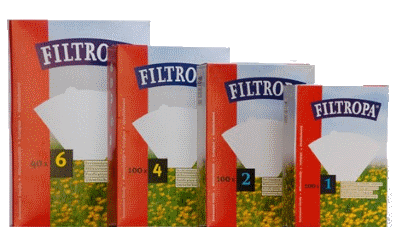 Filtropa is known, for more than 50 years, to be one of most reliable leading private label manufactures in Europe. Our warehouse contains pallet racks to stock 5.000 pallets. From here our goods are transported or shipped worldwide after been thoroughly checked before leaving the factory.